I am writing this letter in support of Derek Woodman in his campaign as Summit County Sheriff. I was employed at the Summit County Sheriff’s Office from 2014-16 and had the privilege of working with Woodman. He was a mentor to me, as I was hired into a new position. Derek was always there to guide and help me navigate my new role. As an African-American/Latino female in a white-male dominated profession, Derek made me feel heard, respected and most of all valued. It can be very challenging and terrifying working in law enforcement, but with a person like Derek Woodman, I know firsthand that he has the most honest and best intentions for this community and the people he works alongside. There are so many things that go on in this community and there’s a lot that goes into keeping us safe. As a mother I felt my daughter and I were safe with Derek Woodman protecting our community. I was also employed at the sheriff’s office after Derek was shockingly let go. I left the sheriff’s office shortly after that. We are all not perfect people, but what I will say is what I observed before my departure was, by far, the most shocking and undignified set of morals I had ever witnessed at a place of employment. I had been warned by a fellow employee about the nasty politics that would take place, but I never imagined it would be like that. I couldn’t help but feel incredibly sad for all the employees who left because of this, but even more heartache for a community I have been a part of for 13 years. Losing Derek Woodman temporarily has been unfortunate for the sheriff’s office but losing him permanently would be catastrophic for our community, our kids and our safety. Whether you are Republican or Democrat, black, white, Hispanic, or any other race, do what is right and vote for Derek Woodman for Sheriff — a family man and a man with integrity. Remember, people will forget what you said, people will forget what you did. But people will never forget how you made them feel. Thank you Derek for your service. Navigating the challenges of the upcoming November mid-term election requires attention to detail and our unconditional promise to vote. I respectfully ask for your non-partisan view when casting your vote for the Summit County Sheriff’s Office contest. Summit County Sheriff, Jaime FitzSimons deserves our undivided support for re-election. Until my recent retirement, I spent much of the last twenty years working closely with law enforcement in the field of youth tobacco, alcohol, marijuana and other drugs, as well as youth and adult suicide prevention. I had experience working with both current candidates for this office and can attest that upon taking office, Sheriff FitzSimons redirected our county to a new culture of integration and collaboration for community solutions. His work ethic was unparalleled, even as the demands for law enforcement support increased. After years of need, the Sheriff’s Office assisted our schools with an additional school resource officer. Sheriff FitzSimons worked tirelessly with a broad range of non-profits and other organizations toward strategies to reduce youth substance use, including the youth and adult opioid drug epidemic. He also sought community collaboration for mental health foundational support, including assistance from statewide partners for a new crisis stabilization unit. Sheriff FitzSimons was unequivocally committed and present for the demanding schedule of meetings, advisory boards and long-term strategic planning for our “Communities That Care” youth substance use coalition, school and family English and Latino evening programs and the advancement of Building Hope, the new community support model for adult and youth suicide prevention. Lastly, as part of our effort to eradicate prescription drug access for youth, Sheriff FitzSimons and Dillon Police Chief Mark Heminghous assisted in a successful statewide effort for placement of three local prescription drug drop-off locations in Summit County. Please join me in your enthusiastic vote for Jaime FitzSimons for Summit County Sheriff. Short-term rentals would not exist in such numbers if corporate providers did not fail to provide adequate inventory and had reasonable rates for people of all means. How many families of six individuals would choose not to come and ski if they have to rent two or three individual rooms at a total cost well above $1,000 a day versus a house at around $200-400 a day? Restricting the citizens right to monetize their property for the benefit of corporations is anti-competitive and essentially a subsidy to corporations. This is particularly onerous to out-of-state homeowners who wish to use their property some. Forcing them to rent full time only deprives them of their liberty to use their property throughout the year from time to time. Additionally, the monetary return of a long-term rental is less than a short-term. Will homeowners receive an in-kind subsidy to make up that difference? Such measures are veiled as something for the benefit of the community when it is clearly government overreach to benefit a few billionaires. A state which purports to champion individual liberties is exposed as anything but, when such measures are floated as a solution to a problem which exists in theory only. More regulation of rentals is merited to address some of the problems mentioned, but they are hardly justification to eliminate the practice altogether. A Sept. 29 article featuring the Summit County Coroner’s Office depicts a far different picture than our family’s experience at the time of our son’s ski death at Keystone on Jan. 20, 2016. The news of Jay’s death was devastating, horrible and confounding. A striking lack of compassion and harsh handling, provision of conflicting and misinformation, and a lack of transparency compounded our shock and grief. A poorly coordinated and mismanaged effort existed at various levels between the coroner’s office and Vail Resorts. The absence of critical interface in facilitating the coroner’s role in investigating and applying standards for operating procedures are attributable to the failures of the coroner’s office staff to perform their professional duties. We were not allowed to identify our loved one at the morgue and were discouraged from having an autopsy performed. The most appalling and egregious discovery was to learn the coroner’s office failed to refer our son to Donor Alliance in Denver for potential organ/tissue donation and processing. Evidence of his active status and intent to donate were immediately available on his person. Our son’s last wish to gift recipients of his body was denied by carelessness. We are not alone. 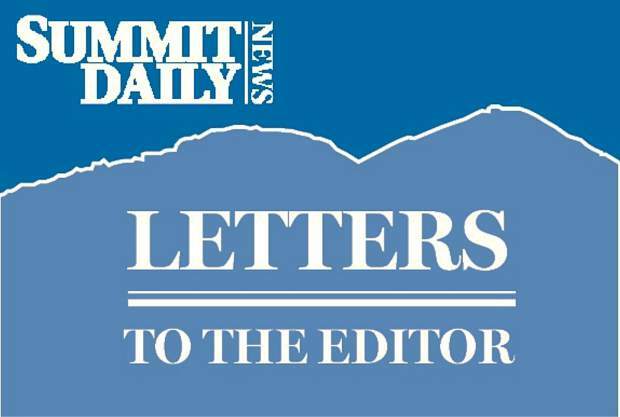 In the course of an investigation by the Summit Daily News and subsequently the published three-part “Whiteout” series in April of 2017, other families have shared their experiences with mishandling in mountain/ski-related deaths. The Summit County Coroner’s elected, and currently uncontested position, operates without oversight by, and accountability to, both the Summit County Board of Commissioners and the Summit County Town Manager. I am certain no other family deserves to have their needs unmet at a critical time, nor should they suffer the consequences of poorly-performing Summit County employees. Thanks to the Summit Daily for their recent, balanced coverage of the demonstration at the Women’s Resource Center of the Rockies. It opens the door for educating the community to the real truth about what the center provides to women which is quite different from the information provided by the protesters. The points they were making were clearly based on ignorance of the WRC, an analysis that is supported in the direct quote from a protester who admits that she “can’t speak to this clinic specifically.” Another example of the lack of knowledge is the quote from a protest organizer: “These centers require an ultrasound. They will not accept a blood test.” However, WRC provides both a pregnancy analysis and/or an ultrasound. It is curious that the protesters make these claims without first knowing the real truth about the WRC. It appears that the protestors are answering the NARAL dog whistle from the points they presented. NARAL claims that abortion process falls into the misnomer of women’s reproductive rights. While it can easily be argued that no one has the right to terminate another human life as NARAL supports, there is a missing piece that is never heard from the NARAL group, as it does not support their mission. It is the fact that there are also reproductive responsibilities. A bad decision resulting in an unplanned pregnancy should not be followed by a worse decision to kill the resulting human being. The father should also be included in this decision-making process, when possible, but the protest organizers seem to be upset that men have any say in the decision process. Additional ignorance of what Christian support groups provide is demonstrated by the statement “the pro-life movement doesn’t seem to care about a child after that child has been born….” I encourage the protesters to educate themselves on the mission, vision and the strategic goals that are being developed by the WRC before they make a statement. These goals center around the need to develop a strong support system for mothers facing an unplanned pregnancy. While these goals will require additional resources from the community, the success of this approach can be seen in the results of the Marisol effort in Denver supported by Catholic charities. The support services go well beyond the limits espoused by the protesters and they address the issues of concern to mothers who might feel they cannot support a baby. This is quite different from the information supplied by entities such as Planned Parenthood. Of course, the loss of profits from the sale of body parts of aborted babies is not a concern for the clinics they protest. One protest organzier in another statement included in a response online, attempts to portray the “religious right” as viewing the choice as meaning only abortion. Again, this is a conclusion based on ignorance. Adoption of an unplanned baby is clearly supported as an alternative choice. This attempt to compartmentalize the “religious right” to gain support for her argument is misguided. The WRC is at the start of a journey to strengthen the support for women and men who find themselves facing an unintended pregnancy. The center currently provides information resulting from pregnancy and ultrasound testing overseen by a medical staff. Counseling and other information are available from trained volunteers. Material needs during the pregnancy are provided by Mother’s Closet. In addition, a strong link exists between WRC and Casa Gabriel, a resource for supplies of material needs of the baby after birth. The strategic goals define the gaps that currently exist for issues such as prenatal medical care for the mother and required support mechanisms for the family post-delivery that might exist in any given situation. There is, in fact, common ground in the types of concerns both sides have. Moving forward to reach this common ground requires knowledge of what the WRC does and plans to do. The first step forward is for the protesters to realize that. I invite them to attend the upcoming fundraiser event on Nov. 2 as a means of starting the education process for themselves about the WRC so they can make an informed decision on protesting. The director of the facility, Ann Huntsinger, will be happy to provide additional information on this event. The great debate in America has become are we going to preserve our very important first act as a nation with our Declaration of Independence. We were a nation filled with a great resolve to recognize some God given gifts called “Rights” and they believed them to be given to us by our creator-God. What a remarkable thing and wonderful almost miraculous 36 words that formed a certain death sentence from England if not followed through with a War of Independence and a successful revolution. It was successful for almost 200 years with a Culture of Life and laws that protected our human life in all ages and in all conditions. It is hard not to make a daily prayer out of those words as we listen. The Right to Life was and is a gift from our Creator-God. We are the only nation that ever started with such a bold statement (under penalty of death by England) by 56 Revolutionaries. We became a nation under God of Judeo-Christian origin. We became a nation of laws 13 years later that gave us the most important right — the Right to Life. And it was a self-evident truth right from God. 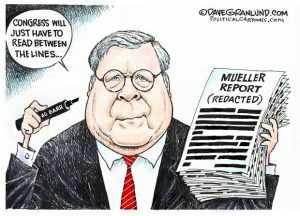 Not a man or woman that made law. We protected that right for almost 200 years until 1973 when 7 justices of our Supreme Court ripped that protection away from Americans in Roe vs. Wade. Over 55 million unborn children, boys and girls, have died without that protection of good American law. We traded our Culture of Life for a Culture of Death where all ages and all conditions can be ended by death. We joined with most of the world’s nations without the protection of human life with good laws. As a practicing physician (family practice, Air Force Flight Surgeon Office and Eye Surgeon) I was blessed to study and learn the science necessary to diagnose and treat the wonderful and greatest creation of God- the Human Being. It was such a gift, as a physician, to treat and pray with the patient that God would heal. The Art of Medicine is just as important as the science. Through the humanities with literature, history, music and art we can see the amazing potential for good and evil. The conditions of human existence can rise with The Culture of Life or fall with the Culture of Death (using abortion and euthanasia as treatment modalities). We can join our Founding Fathers in their courage to protect the lives of all Americans by returning to the good laws protecting all, young and old. We can put politics aside with its quest for power and put a wonderful father, husband, son, law scholar and want-to-be athlete, Brett Kavanaugh on our Supreme Court. We can return our America to a Culture of Love for Life. 1A is an important measure that will appear on our ballot this November, and it speaks very much to what we value — preventing wildfire, providing mental health services, increasing access to recycling and making childcare affordable and accessible. 1A truly represents what our community wants. Various community groups — the Wildfire Protection Plan, Building Hope, High Country Conservation Center, Early Childhood Options, Family & Intercultural Resource Center and others — have come together to create a very detailed plan to tackle some of our biggest and most impactful issues in the county. There is not one person in our community who has not been impacted by a friend, colleague or neighbor struggling with a lack of mental health services or a lack of affordable childcare. Similarly, we know all too well how close we have come to residents’ homes and billions of dollars in properties. And this community strongly believes in protecting our precious, beautiful environment through recycling and waste diversion. 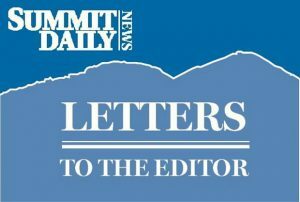 These issues are real, and these issues are unique to Summit County. 1A is about prioritizing those issues that we value — those that help connect bridges and make us better community members and citizens of Summit County. This is our home and we are dedicated to ensuring it is a great place to live for years to come. These are the priorities that the community has coalesced around, and what the community is asking for — lets pass 1A. Vote yes. 1A is Summit’s future.